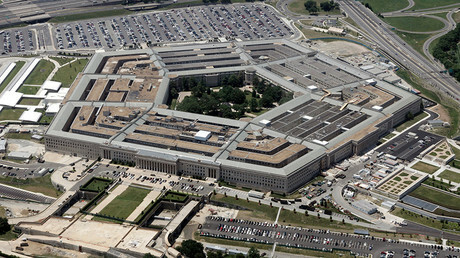 The Pentagon is asking Congress for an extra $30 billion for 2017, mostly to address pressing readiness issues and the fight against Islamic State – yet Russia and President Trump’s budget proposal dominated the Senate appropriations hearing. Democrats on the Senate Appropriations Subcommittee for Defense used much of their time to criticize the budget proposed by the White House, which would give the Pentagon more money in the long run at the cost of foreign aid programs administered by the State Department. Republicans, on the other hand, were more concerned about Russia. “We see Russia and China seeking veto power over the economic, diplomatic and security decisions of nations on their periphery,” Defense Secretary James Mattis told the committee on Wednesday. Later, answering Sen. Thad Cochran (R-Mississippi), he said that Russia had “decided to become a strategic competitor with us,” and that NATO needs to stand against Russian “adventurism” in Ukraine and “mischief” with elections in Europe. Mattis also described Moscow “passing out passports to Russian-speakers in other countries” and “undercutting democratic processes” in Europe as being among strategic challenges for the US. Sen. Jerry Moran (R-Kansas) was concerned about Kurds in Syria cooperating with Russia, even as the US was arming and supplying them as a proxy force against IS. Mattis explained that the YPG faction in active military cooperation with Russia was in the Afrin region of northwestern Syria, while the US-backed Syrian Democratic Forces were in the northeast. 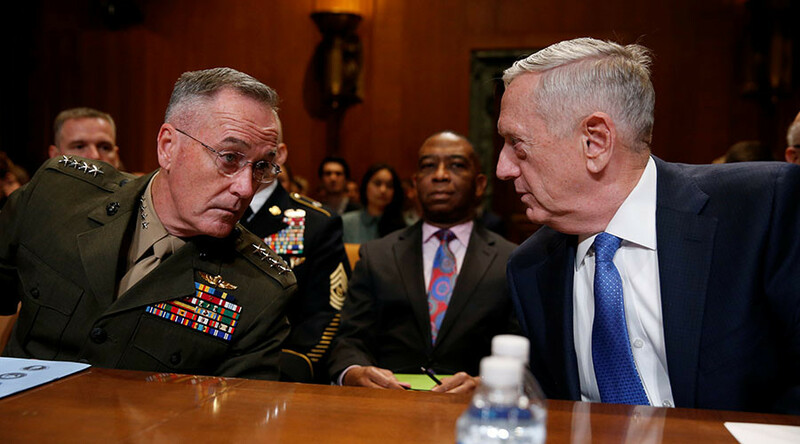 While the YPG was politically involved with Russia and had an office in Moscow, the units the US was supporting on the ground are not working militarily with Russia, Dunford explained. “We do have a very detailed vetting process that we use to mitigate the risk of [those] weapons and equipment falling into the wrong hands,” he added. Mattis and Dunford kept coming back to their funding request. Mattis outlined “maintenance, spare parts, training time, flying hours, munitions stocks, and manpower” as needing $25 billion of additional funds. The request for more funds comes halfway through the 2017 fiscal year because of readiness needs, and would also provide for an additional 28,000 Army troops, 4,000 airmen, 3,592 sailors and 2,426 marines – all authorized by the 2017 NDAA. Another $5 billion would be allocated to “accelerate the campaign to defeat” Islamic State (IS, formerly ISIS/ISIL) and other counterterrorism operations. The Pentagon would have no objections if Congress wanted to pass a new Authorization to Use Military Force (AUMF) to intervene in Syria, Mattis told the committee. He told Sen. Tom Udall (D-New Mexico) he did not regard sending US troops to Syria under the current authority as an “invasion,” because IS has blurred the border between Syria and Iraq. “I think we have to play the ball where it lies right now,” Mattis added. Mattis and Dunford also agreed with Sen. Lindsey Graham (R-South Carolina) that after the defeat of IS, a “residual presence” of US forces in Iraq would be a good idea and in the US national interest. “I don’t see any reason to pull out again,” said Mattis.